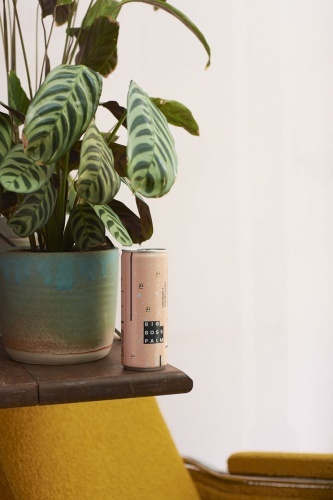 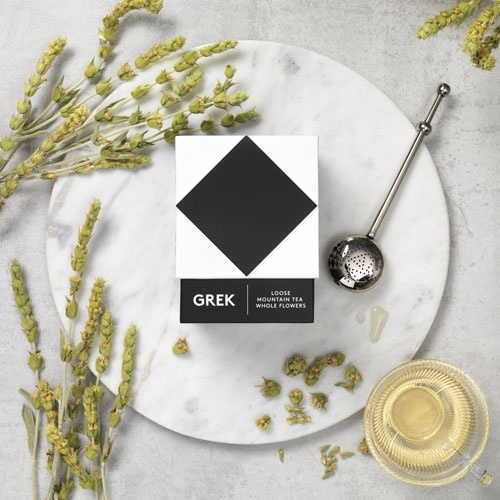 London-based graphic design studio Interabang has designed the visual identity and packaging for a new tea company called Grek. 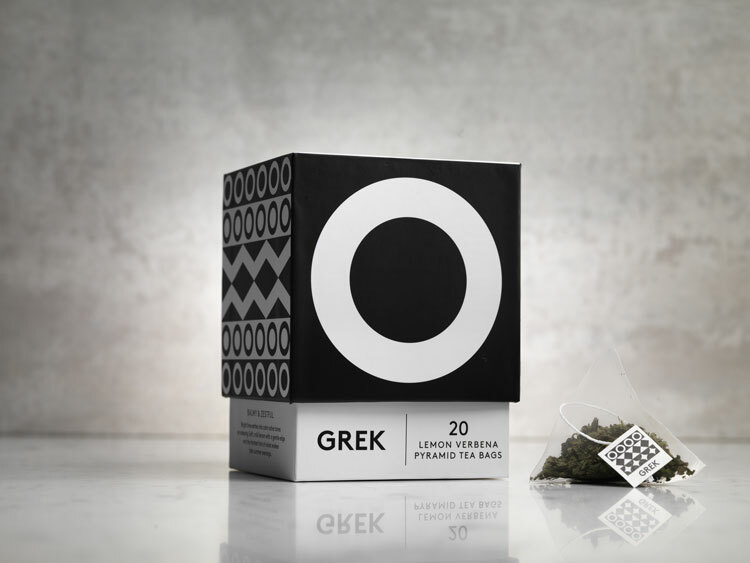 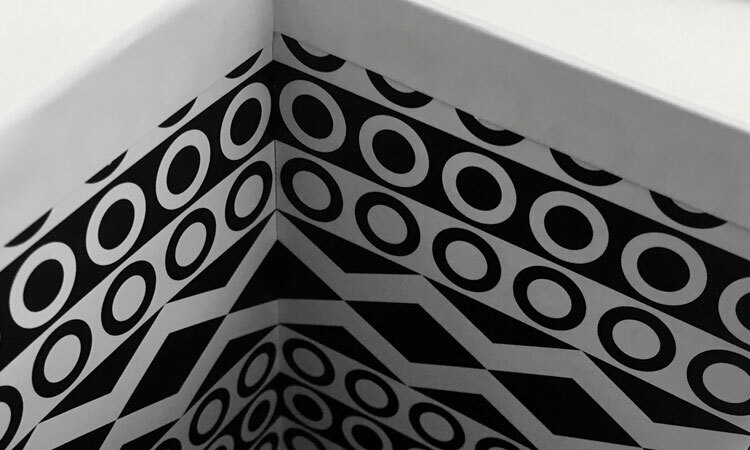 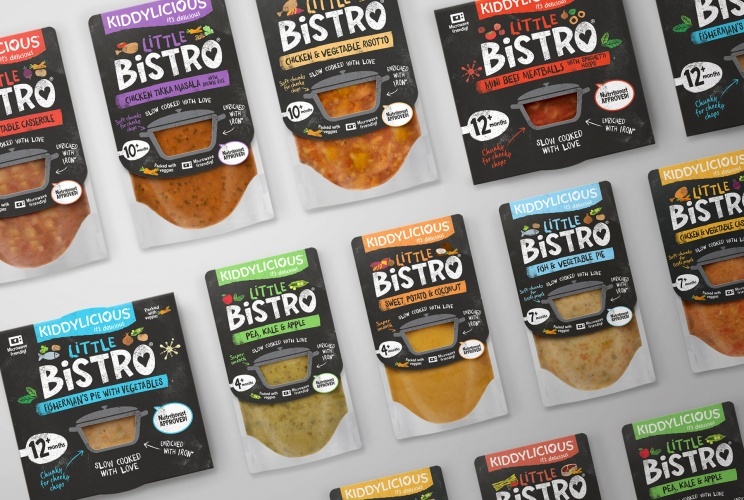 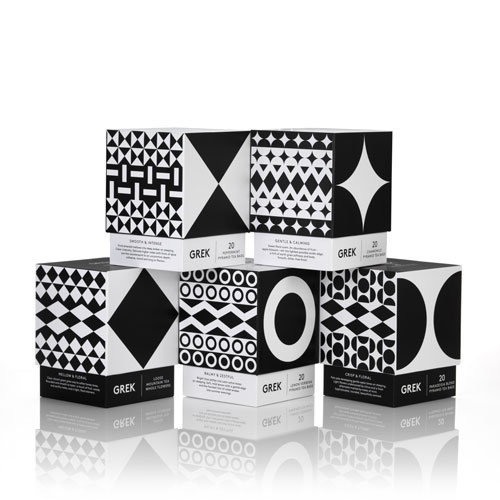 The monochrome packaging design is based on the founder’s childhood trips to the Greek island of Pyrgi, where geometric, black and white tiles are commonly found. 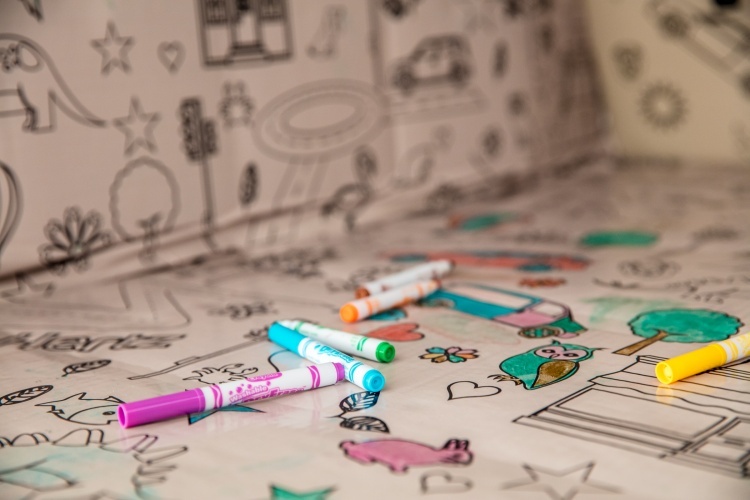 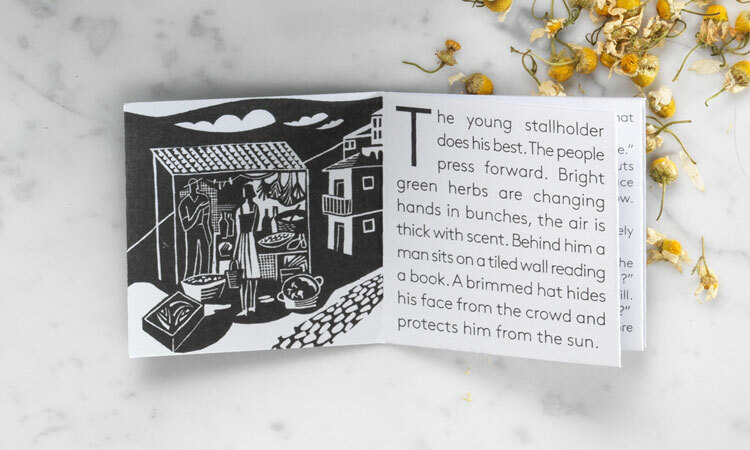 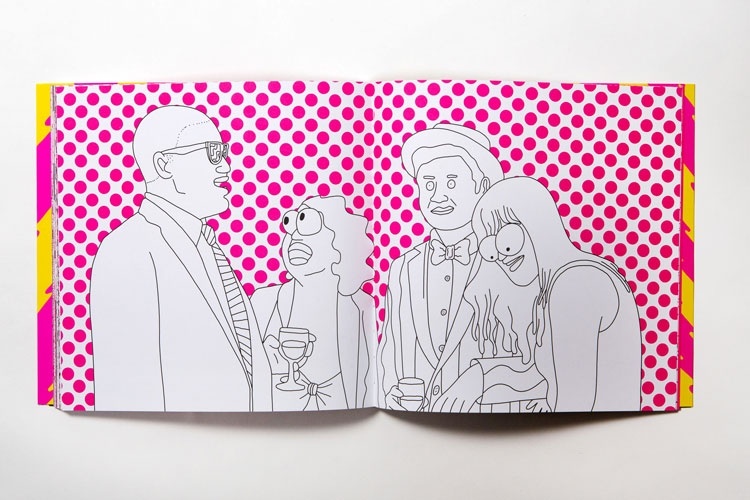 Each tea flavour comes with a booklet featuring a unique short story, which has been written by Scott Perry and illustrated by Claire Curtis.